The world needs مزید Love Actually! #RedNoseDayActually kicks off on May 25 at 8/7c on NBC. Watch the new trailer now. Which "Star Wars" movie has Leia finding out that Luke is her twin and that Vader is their real father? 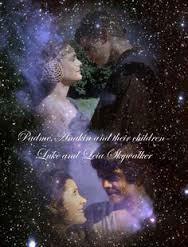 Luke and Leia were raised سے طرف کی their parents Anakin and Padme.